What do you do with all those fresh, crunchy veggies? Make Creamy Ranch Dressing! I've never been fond of ranch dressing until I decided to try my hand at making my own! 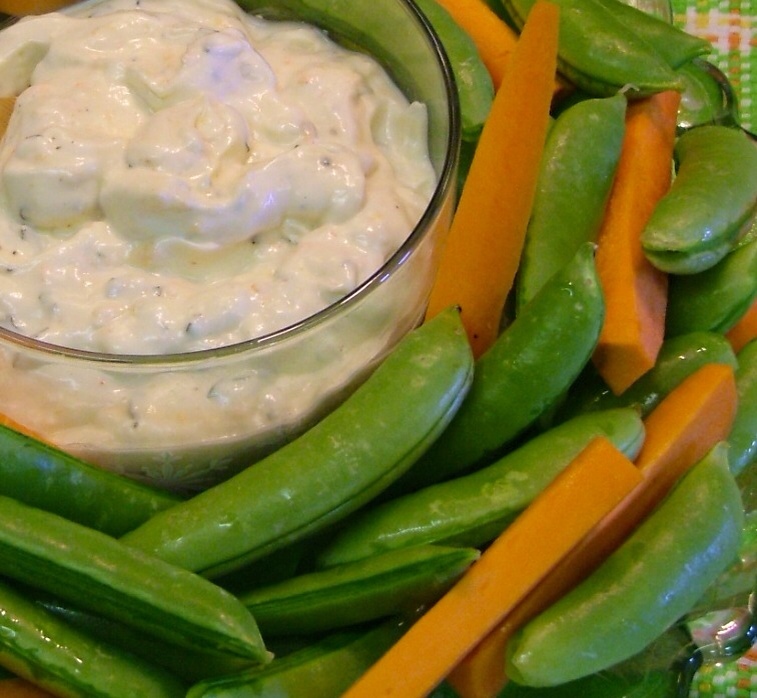 This recipe makes a wonderful dip for fresh crunchy veggies. Thinned down a little, and and you have an exceptional dressing for your fresh salad greens. Crispy Sugar Snap Peas and Sweet Carrot Sticks both fresh from the garden! 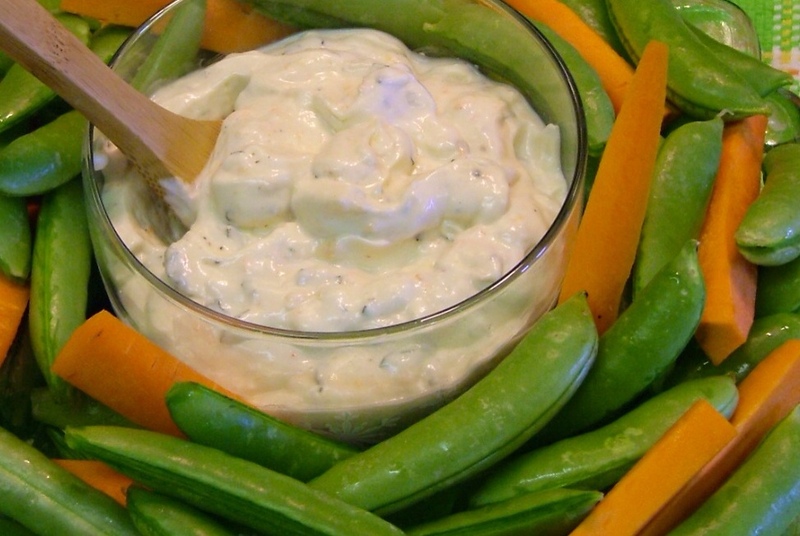 Thick and Creamy Ranch Dip. The base for this dressing is a quality canola mayonnaise, like Best Foods and for organic sour cream, my choice is Shamrock. This recipe makes a thick dipping Ranch. To thin for salad dressing you can add an extra tablespoon of lemon juice. The carrot becomes the sweetener in this dressing. Dip will keep for 7-10 days in the refrigerator. Use the base of mayo, sour cream, garlic, lemon juice, salt and pepper the rest of the recipe is based on personal preference. I've found the best way to make this dressing is to taste as you're adding the ingredients. I try to keep our foods as close to nature as possible. That's why I buy organic sour cream instead of low-fat, chemical laddened sour cream and I use canola mayo instead of regular mayo with soybean oil in it. The next time you are at the grocery store look at the labels on dressings and mayonnaise you'll find soybean oil listed as the first or second ingredient. The same is true in most of the store bought breads and tortillas, cookies, granola bars and the list goes on and on. Please do a google search on "what's wrong with soybean oil" so you can make educated decisions when it comes to the health of you and your family. The sad fact is, what you don't know can kill you, when it comes to what you eat. So, dear friend, read those labels and avoid soybean oil! This is my first year making homemade salad dressings and I must say it's a lot easier now that I've found a great basic ranch recipe that I have customized to meet our tastes . . . Over at Julie's!! !